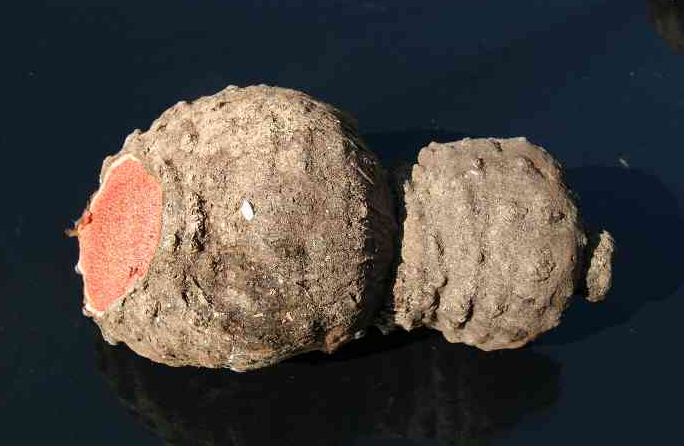 The drug is the dried tuber of Dioscorea hispida Dennst. (family Dioscoreaceae), cutivated or growing in hilly scrubs or near forests, and distributed in Fujian, Guangdong, Hainan, Guangxi, Yunnan, Tibet of China. It is used to remove toxic heat, eliminate swelling; for the treatment of boils and sores, syphilis, chancre, traumatic injury. Proper dosage is for external application, pounded for applying or decocted for washing, or made into paste. It is for external use only. Avoid taking orally.